Lexington Park at Rice Field boasts spectacular luxury home amenities including rich hardwood floors, granite countertops, stainless steel appliances, upgraded fixtures, spacious closets, and custom-built oak staircases. Master Suites in these Plano new homes are relaxing retreats, encompassing the entire top floors and providing exceptional views of the surrounding area. The master retreats include a quiet sitting area and resort-style bathrooms with jetted tubs, separate showers, custom cabinets, upgraded plumbing fixtures, and custom-framed beveled mirrors. If you’re a cook, you’ll enjoy the numerous upgrades in the chefs’ kitchens featuring custom cabinetry, slab granite countertops, under mount double basin stainless steel sinks, custom tile backsplashes, stainless steel appliances, and accent lighting. As the usual gathering place for friends and family, these kitchens provide a beautiful backdrop. Built with remarkable structural, energy saving and indoor air quality engineering features. High efficiency zoned air conditioning and furnaces are included, as are technologically advanced zero-emission fireplaces, tankless water heaters and recycled Green Fiber Insulation. 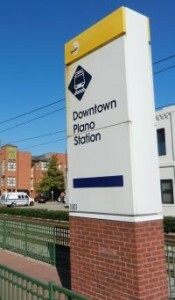 Walk to historic Downtown Plano and enjoy an array of local dining options, unique boutiques, specialty shops, and other retail offerings. Lexington Park at Rice Field provides easy access to Central Expressway and the George Bush Turnpike. Hop on the DART light rail and enjoy everything Downtown Dallas has to offer in minutes. 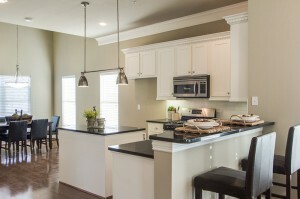 You’ll love living the urban lifestyle in the heart of Plano! Lexington Park at Rice Field is located in the Haggard Park Heritage Resource District. According to the City of Plano, these townhomes are considered Class C under the city ordinance and are eligible to receive a tax exemption of 75 percent of the assessed value of the structure. The exemption is not automatic and each owner must submit an application to the city. Click here for details in the Plano Texas Code of Ordinances. Lexington Park at Rice Field is located in the heart of Plano just west of 16th Street and G Avenue. There are five spectacular floorplans: Pembroke (2/2/2 – 1541 SF), Harrington (2/2/2 – 1862 SF, Aldridge (2/2/2 – 2126 SF), Murphy (3/3/2 – 2279 SF), and Barnett(3/3/2 – 2351 SF).